ReadySetF a s h i o n: fujisan! Japanese magazine subscriptions sent to your mailbox.....IN THE US!!!! 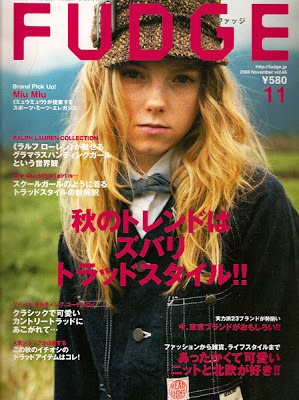 If you cannot find a magazine seller in your area who carries Japanese titles, fujisan.com can help. Choose a magazine, set up an account, subscribe from 3 months to 3 years, and fujisan will make you forget your city still doesn't have any good mag stores. Such a cool service. In Paris there is a great japanese bookstore where you can find a good selection of mags (albeit really overpriced). I've bought "High Fashion" quite a few time, and it proved a great source of inspiration (also some of the articles were translated to English, always a plus). 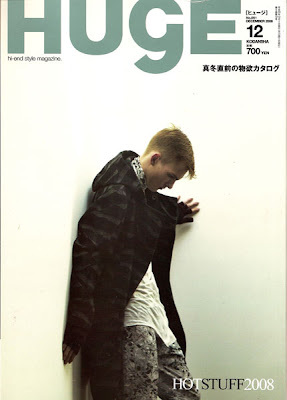 "So-En" is also a great mag to get in touch with up and coming Japanese designers. I've also discovered "Ecocolo", a nice "lohas" publication that centers on sustainable fashion and beauty. I feel like every city has a japanese bookstore BUT chicago. 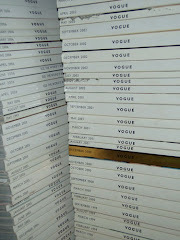 there is a japanese grocery store, but their fashion magazine collection is sparse. i cannot wait to receive my first issue! i will probably add on high fashion....it's a great resource too. omgd, listen to me, i just bought that issue of fudge today!!!!! i'm not kidding. how funny is that! i have 2 dozen pages ear-marked! That's a great idea. Thanks for letting us know. i'd die for a subscription to nippon vogue or jp aera. the 25 ans looked interesting. ps anyway your links can open up another page instead of paging back? up & down....i reference this fudge issue DAILY. i love it. ella, i LOVE kinokuniya. last time in ny i spent close to 4 hrs one morning there. i go thru withdrawl when i'm back home. i just wish their website was more user friendly.